Serving as a source of comfort from the sultry dessert climate of Rajasthan, Mount Abu, the state’s only hill station stands at a height of 1722 metres above sea level, and is embraced by lush green hills of the Aravalli range. Studded with a colourful mix of rustic abodes of tribal communities and posh houses inclusive of British style bungalows and royal holiday lodges, Mount Abu appears to be no less than a wonder in this dessert state. Covered in vast stretches of green forests, serene lakes, and effusive waterfalls, this region allows you to revel amidst panoramic vistas, all year round. Other than its scenic beauty, Mount Abu is also popular as a seat of religious importance for Jains. The structural architectural wonders in Mount Abu, among other places to visit, have been drawing history buffs and architecture enthusiasts from different corners of the world. All most all tour packages, including those by Rajasthan Tourism have Mount Abu as one of the most significant destinations to be covered. Myths and Legends - The history of Mount Abu can be traced back to the Puranas. Known as “Arbudaranya” or “the forest of Arbhuda” in the Puranic Age, Mount Abu is described to have served as a retreat for Sage Vashistha, following his spur with Sage Vishwamitra. A popular mythology story associated with Mount Abu mentions a serpent named Arbhuda, who had saved the life of Nandi, Lord Shiva’s mount, here. The name “Mount Abu” is a diminutive of its original name which was kept after Arbhuda. Another legend suggests that Sage Vashistha had performed a yajna at the peak of this very mountain range, seeking provision for the defence of righteousness on earth, from the Gods. His prayer was answered by a youth who sprang out of the yajna fire, known to be the first of the Agnivamsha Rajputs. Arbhuda Mountains or Mount Abu is also popular for having been the home of Gurjaras. Multiple inscriptions including Dhanpala’s “Tilakmanajari” lay stress on the association of this place with that of Gurjaras. Come explore the wonders and sites that Mount Abu has to offer. There’s always something to see in Rajasthan. Recognized as the first ever manmade lake in India, Nakki Lake is also a preferred place to see in Mount Abu. You can choose to take a boat ride at the lake and watch the sun set past the beautiful hills surrounding this place. Nakki Lake is also popular for being the place where the ashes of Mahatma Gandhi had been immersed. Toad rock, a place for sightseeing in Mount Abu is located close to Nakki Lake. Recognized as the highest point on this mountain range, Guru Shikhar is an exquisite place for sightseeing in Mount Abu. Taking about 300 steps up to Guru Shikhar, you reach the temple of Guru Dattatreya, an incarnation of the Divine Trinity (Brahma, Vishnu and Shiva). People flock to this place both for its religious aspects and the panoramic views. Known for being surrounded by a number of strangely shaped rocks, Nakki Lake offers numerous photo ops to visitors. One of the most popular destinations near Nakki Lake however, has to be the Toad Rock View Point. Located on the main trekking trail near the Lake, the Toad Rock has often been referred to as the mascot of Mount Abu. The massive rock structure is an excellent illustration of igneous rocks found in amazing shapes and is shaped, as the name suggests, like a toad. One of the most frequented places in the hill station; people visit this place out of sheer curiosity. It is pretty easy to climb the rock and the views that it offers of the Nakki Lake and the surrounding greenery are unparalleled. Apart from the novelty of the rock itself, the breathtaking scenery from atop just adds to whole experience, making it well worth your while. Established some time in between the 11th and 13th centuries, the Dilwara Jain temples are considered to be among the best specimens of architectural perfection in the country. A complex of five temple structures, the Dilwara Jain temples are located at a distance of about 2.5 kilometres from Mount Abu. Carved out of white marble, these temples features interiors that have intricate designs spreading everywhere from doorways to ceilings. Dilwara Jain temples are a must visit place in Mount Abu. Covering 288 square kilometres of area, the Mount Abu Wildlife Sanctuary is a part of the subtropical forest in this region. Containing rich flora and fauna, this sanctuary allows you to come close to some rare and exotic species of wild animals, including the Indian fox, pangolin, grey jungle fowl, striped hyena, and also Indian leopard, the apex predator here. Nestled in between two famous Aravali peaks, the Guru Shikhar and Achalgarh, the Peace Park in Mount Abu is a part of the Brahma Kumaris’ establishment. With an ambiance that creates the perfect blend of serenity and tranquillity, the park offers a beautiful backdrop for silence and peaceful recreation. At the Peace Park, one can visit the rock garden that houses a wide variety of Cactaceae, the orchard, citrus corner, and view the numerous floral displays that include coleus, shrubs, hibiscus, creepers and climbers, and an exquisitely beautiful rose garden. The park also has a number of areas, like a stone cave and huts, where people can meditate in a tranquil environment. The Brahma Kumaris also provide a guided tour of the park, and you can also watch a short video film that explains interesting meditation concepts. This place of solitude in the lap of nature is something you must experience. Located on Delwara Road, near the Delwara Jain Temple, is this small temple dedicated to Lord Shiva. The temple offers a very peaceful ambiance and is considered as one of the most ancient holy places located in Mount Abu. A small and beautiful temple, the Lal Mandir gets its name from the fact that all the walls of the temple have been painted red. The temple is one of the must visit spots in Mount Abu, popular among the religious tourists as well as others. The temple is also quite well-known for being a Swayambhu ‘ Shiva Temple, so named because the idol placed inside the temple can be seen wearing a ‘jenau’. Trevor’s tank, a crocodile park, is a manmade crocodile breeding spot which is located at a distance of about 5 kilometres from Mount Abu. The spot offers amazing scenic beauty and a great spot for crocodile, bird, and other wildlife (like the black bear) sightings. The lush green surroundings make it quite a popular picnic spots that is always worth a visit. Trevor’s Tank is a small but pristine ecosystem for crocodiles, and creates a unique blend between manmade creations and the natural environment. Being located at a hill station, Trevor’s Tank can be visited all throughout the year, owing to the mild weather it enjoys all the time. However, it might be a good idea to avoid the monsoon season, as that may hinder your explorations slightly. Whether you are a shutterbug or want to watch some birds or other wildlife, Trevor’s Tank is a destination to add on your Mount Abu bucket-list. The Achleshwar Mahadev temple in Mount Abu is dedicated to Lord Shiva. According to local legends, the temple is built around a toe print of Lord Shiva. Like most temples, Shiva is worshipped in the form of a shiva-linga, but what makes it interesting is the fact that the shiva-lingain here is a naturally occurring structure. The temple is well-known for its ambiance, beautiful filigree work, and the numerous bull statues that represent Nandi, the noble carrierof Lord Shiva.Within the temple, there is also a pit that is said to be the entryway to narak, the netherworld. When you take into account the local legends and histories that surround this beautiful temple, is when you understand whyit is worth a visit. Without doubt one of the most visited places in Mount Abu, the Achalgarh Fort is located about 26 kilometres north of the city. Originally built by the Paramara dynasty, this fort has later been renovated and renamed as Achalgarh by Maharana Kumbha in 1452 C.E. Another popular place to visit near Mount Abu, the Achaleshwar Mahadev Temple, is located right outside this fort. When the harsh summer beats down on the arid land of Rajasthan, its only hill station – Mount Abu provides more than respite as it comes alive with its unique two-day summer festival. Starting on the day of Buddha Poornima, the summer festival celebrates the vibrancy of Rajasthani culture for over three days. Soulful ballad singing kicks off the summer festival in style and is followed by mesmerizing folk dance styles of Gair, Ghoomar and Daph. The highlight is undoubtedly the Sham-e-Qawwali, which features some of the best folk singers from various parts of India. Along with a colourful showcase of folk culture, the festival also hosts horse racing events, tug of war, skating races, CRPF band show and boat races on the Nakki Lake. The festival concludes with a dazzling display of fireworks and the gorgeous landscape of Mount Abu, with its verdant hills and lakes, make it a one-of-its-kind experience. The Udaipur Airport is the closest and is located 175 kilometres away. The annual Winter Festival held at Mount Abu in December pays homage to the rich culture and tradition of Rajasthan. The much-talked about event is a rare combination of cultural vibrancy, stunning handicrafts and delicious food, set against a scenic backdrop. This two day extravaganza brings together craftsmen and performers from every corner of the state. It is also known for its sporting and entertainment events, such as kite flying, rowing competitions and poetry reading sessions. Also, it is the only festival in Rajasthan where cricket has been introduced as a part of the celebration. A Grand procession marks the beginning of the festival. It culminates at the Nakki Lake with the ‘Deepdaan’ ceremony in the evening, where hundreds of diyas (earthen lamps) are set afloat in the water as a form of respect. A stunning display of fireworks ends the festival on a spectacular note. The dates for 2018 are 29th December and 30th December. The Udaipur Airport is the closest and is located 175 kilometres away. Engage in the many activities, tours and adventures that await you in Mount Abu. There’s always something to do in Rajasthan. Mount Abu does not have an airport of its own and the closest airport is the Maharana Pratap Airport in Dabok, Udaipur, located at a distance of 176 kilometres from Mount Abu. Good motorable roads connect Mount Abu to other cities of Ajmer, Bundi, and Delhi. People can either drive themselves or take one of the buses offered by the state transport service. You can also consider one of the private bus services when planning a trip to Mount Abu. The railway station at Mount Abu is located at a distance of 28 kilometres from the city. This railway station lies on the connecting rail line between Delhi and Mumbai. 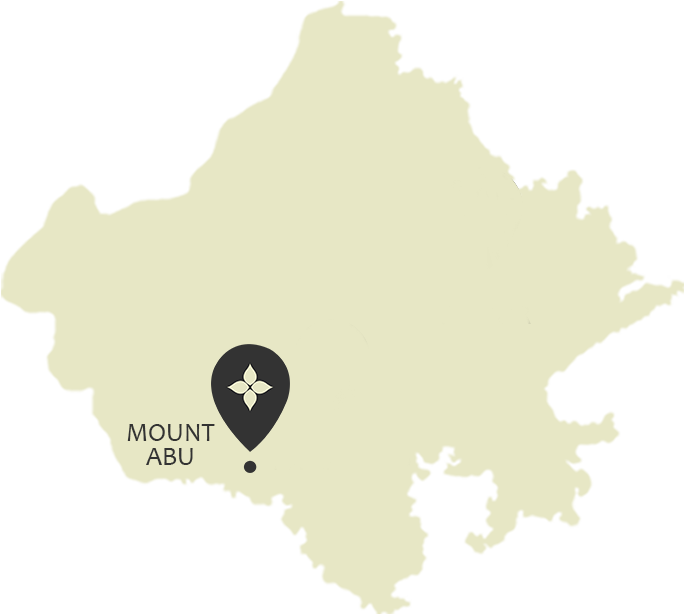 Mount Abu is also connected to other major cities such as Jaipur, Pune, Bangalore, Ahmedabad, and Chennai. For suggestions & feedback relating to website, please write to it-dot@rajasthan.gov.in, acpdd-dot@rajasthan.gov.in or call 0141-2822812.